Let Raleigh Rental Properties Build Your Wealth | Puck Realty, Inc. Being a savvy real estate investor puts you in a position to reap the benefits that come with smart investing. A solid strategy to implement into your investing portfolio is exploring rental property opportunities, leveraging renters’ monthly rent to pay off the mortgage while boosting your net worth in the process. As a real estate investor you understand the role that cash flow plays in building real-estate wealth. By investing in a property – be it a standalone home or a building with multiple units – you put in place a system that can generate cash that can cover your carrying costs and mortgage. By creating positive cash flow you put yourself in a position to pay off your mortgage ahead of schedule. If you commit to putting all of your positive cash flow towards paying off your mortgage you can end up saving yourself thousands of dollars in interest payments. It is a fairly simple concept, but when you put your tenant’s rent payment towards paying off your mortgage you are leveraging your tenants ability to fill your financial obligations. Do this for as long as can, ideally keeping the home rented until you own the property free and clear! Upgrades can absolutely increase the value of the property, but just as with any home, you want to make sure your return-on-investment (ROI) justifies the expenses you are putting in. The other factor to consider when thinking about making improvements to your rental property is that when you make upgrades and increase your property’s value you also make the home more attractive to rent while also being able to charge a higher monthly rental price. As you hold on to your rental property ideally your home’s price goes up, or experiences “appreciation.” Combine the appreciation with the smart upgrades that you implement and you hit the sweet spot of rental properties, resulting in an increase to your bottom line. There are a number of tax benefits that you can leverage on an annual basis. Items such as rental expenses, depreciation, mortgage interest, and so on are all accounting expenses that you can deduct every year. While purchasing Raleigh rental properties may not be for everyone, correctly implementing them into your real estate portfolio can be an easy way to grow your portfolio and boost your net worth. 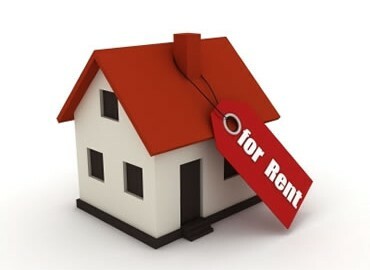 To learn more about how Raleigh rental properties can work for you, give us a call today (919-842-5900)!